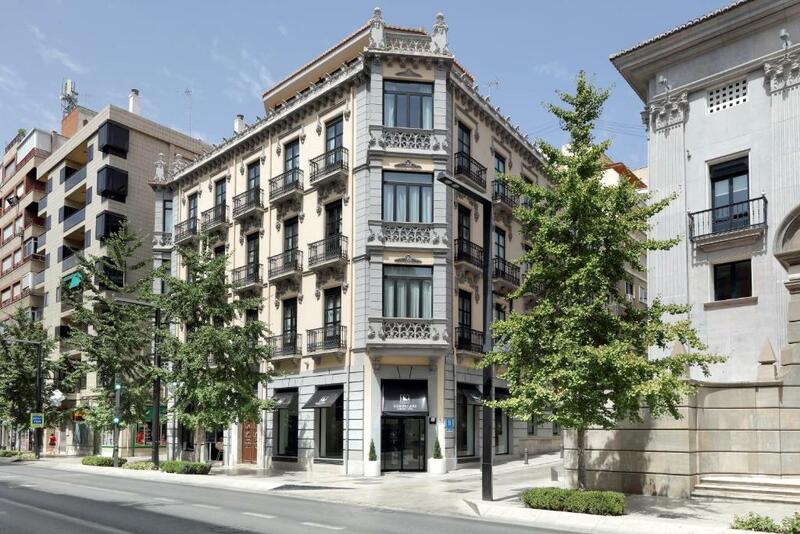 Just a few steps away from Royal Chapel of Granada and the Madrasah of Granada, this 5-star hotel includes a coffee bar and a spa & wellness centre. It offers uninterrupted views of the city, stylish rooms with mini bars and personalised service. The Fontecruz Granada offers a number of services including 24 hour room service, body treatment facilities and a steam bath. The hotel also offers massage services, a 24 hour reception and meeting rooms. The hotel operates a well-equipped business centre and also offers conference facilities. The modern and sophisticated rooms at the Fontecruz Granada have a hair dryer, complimentary toiletries and a private bathroom. Internet in rooms, a TV and a shower can be found in each room of the hotel. Honeymoon suites are also available. To ensure your day gets off to a great start, the hotel serves a buffet breakfast daily. For other meals, there are many restaurants and cafés situated in the surrounding area. This Centro hotel is located in an area popular with tourists and is in close proximity to the Archaeological Museum of Granada and the Monastery of Saint Jerome. Shopping and a vibrant night life are only moments from the hotel's front doors. This hotel is 1349 metres from the Alhambra entrance, 249 metres from Plaza Nueva (the absolute centre of Granada), 1317 metres from the train station and 2774 metres from the bus station.